Washington District 2 Little League serves youth in Kitsap, Pierce, Mason, Jefferson, and Clallam Counties. District 2 is now on Facebook and Twitter. So check us out. This year Washington District 2 will host the Washington State Junior Softball tournament. This is an exciting event for both participants and fans. The tournament will be held at North Kitsap American & National Little LeaguesSnider Park complex from June 30th through July 7th. This is a wonderful opportunity to come out and watch some great Softball. Admission is free. Cheering is required. 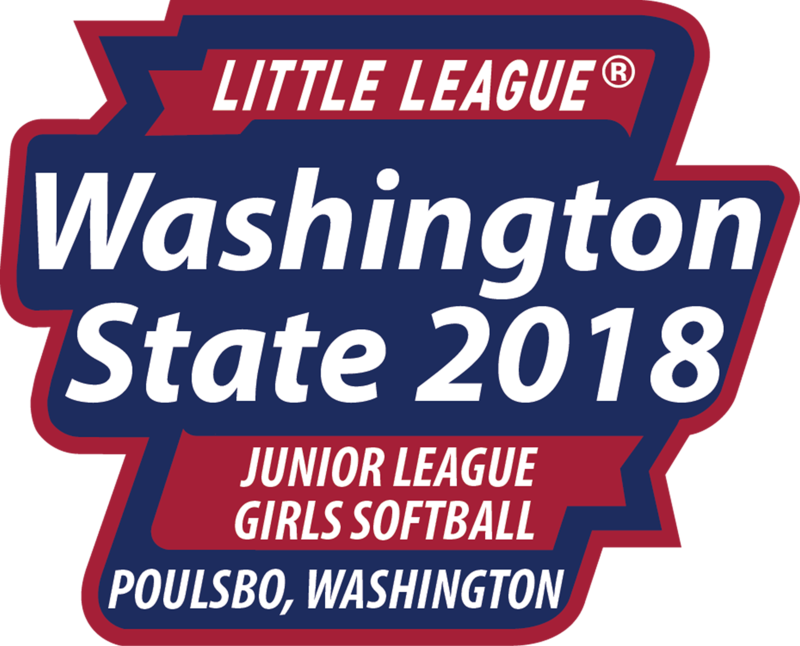 2018 WA State Jr Softball Look here for the latest game scores and updates. Site locations are identified for this year's tournaments! North Kitsap American & National Little Leagues will host the 8-10, the 9-11 Year Old, the Major, and the Junior Girls Softball District tournaments. Most of the tournaments will start on June 23rd with the Major tournament starting on June 21st. They will also host the Washington State Junior Softball tournament which will start on June 30th. South Kitsap Eastern Little League will host the 8-10 & 9-11 Year Old Baseball District tournaments. The tournaments will start on June 23rd. Gig Harbor American & National Little Leagues will host the Major Baseball District tournament. The tournament will start on July 6th. See the appropriate link below for the game brackets. These will be updated with game results as they are reported. Note that game days and times are subject to change. Team Roster forms (fill out two for each game) can be downloaded here (MSWord PDF). Guidelines for Tournament Play can be downloaded HERE. Note, hotlinks for maps to the fields are above. Click on the link for a map and directions to the field you are interested in. In District 2 we utilize interleague play for several divisions. It is important to remember that every league participating in interleague play agrees to abide by the Interleague Rules that are established for the division in which they are participating. In some cases (Minor & Major baseball) the interleague play is between a small group of leagues. In those cases the interleague rules are established by the few leagues participating. Our Softball, Junior baseball and Senior baseball encompass more leagues and the interleague rules for those groups have been established by the participating leagues and documented by the District. For a copy of the Minor or Major baseball interleague rules contact your league. The interleague rules for Softball, Junior and Senior baseball are available here on the District 2 website. If a division is participating in interleague play, for instance Major Softball, all games shall be played using the Interleague Rules whether the game is between teams from different leagues or teams from the same league. In other words, use one set of rules for all games played. Don't be changing the rules at different game sites.